I grew up in Scotland and attended Edinburgh College of Art. Before moving to Canada in 1981 to find new challenges I pursued a career in advertising with Scotland’s leading agencies . 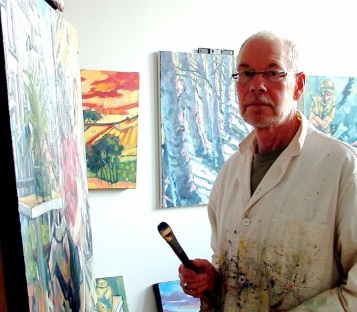 After a successful career in advertising, as an art director and creative director in Montreal, Toronto and Winnipeg, I decided to breathe again and fulfill a lifelong ambition by painting full-time. Now repatriated in Scotland I work mainly in oil on canvas, on a broad range of subjects including portrait commissions. My work is exhibited in galleries in Scotland and across Canada.